For a period of time everyone was getting tired of shooting Nazis in video games. Now almost every game involves a modern setting or takes place in the Middle East, making a return to killing Nazis a fresh feeling again. 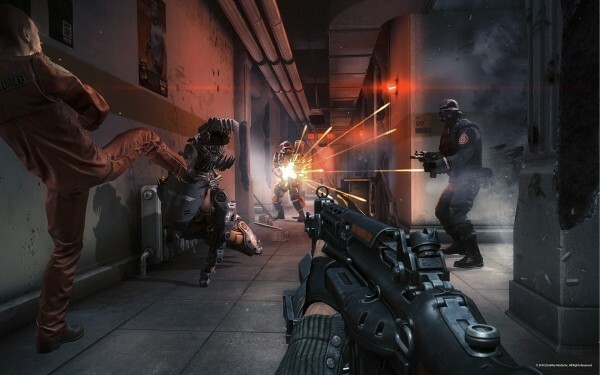 Many gamers might have cut their teeth with the original Wolfenstein back in the day, and now that we are in a new generation of consoles, Wolfenstein: The New Order has come to grace these platforms. 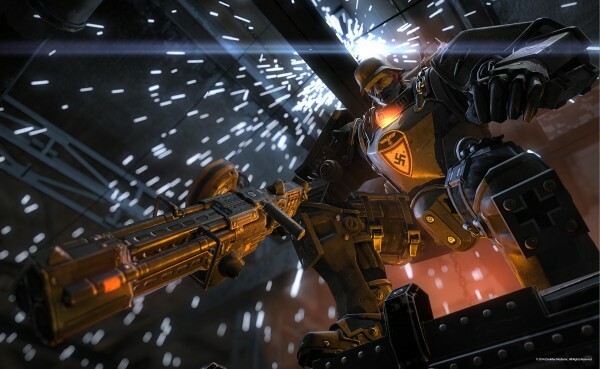 That being said, is this latest Wolfenstein something fans of the series and FPSs in general have been waiting for? World War II is still raging on over a year after it should have originally ended in history and the Allied forces are quickly losing ground to the Nazi war machine which has procured a large amount of advanced technology that the Allies simply cannot stand up against. In an effort to try and bring down one of the leaders of the Nazi forces, the Allies launch an assault against the general known as Deathshead and players take control of the man who put a stop to his plans years ago, B.J. Blazkowicz. 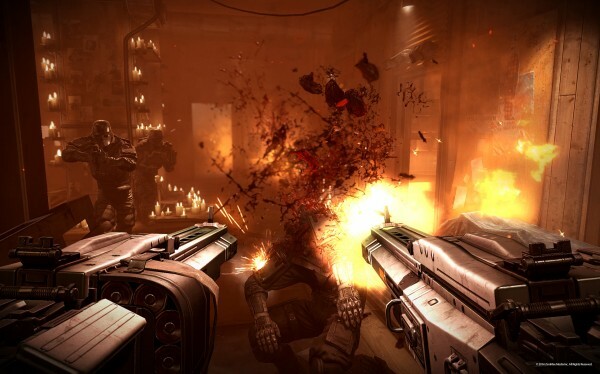 Unfortunately the Allies are quickly overpowered and despite Blazkowicz’s best efforts, he is captured and forced to make a choice between two soldiers that has some minor story changes depending on who the player picks, only to end up being severely wounded to the point of entering a vegetative state. Placed in a mental hospital for over fourteen years, Blazkowicz can do nothing as he sees the Nazis mistreat the staff but once his life and that of the girl who has cared for him over the years is put in danger, Blazkowicz enters the fight once again. However it is now 1960 and even the United States has surrendered to the Nazis, ending the war and placing the world under the Nazi flag. It is up to players to try and find the remaining resistance members and strike back against the Nazis. To do this players will go through numerous stages that involve rescuing allies, attacking numerous Nazi compounds, infiltrating areas, and even go off-world in a campaign that is surprisingly long, a rare trait in today’s FPS genre. Wolfenstein: The New Order’s story is fairly predictable but it is certainly interesting seeing and hearing about how the world has changed under the Nazis as well as the constantly changing areas and collectible reading material that litters each place the player visits throughout the campaign. Plus Blazkowicz’s relationships with the rest of the resistance and his running monologue throughout the title that generally revolves around him lamenting the events taking place and blood being shed, helps add some depth to his character and makes him more than just a walking killing machine. While there is some downtime between certain stages that see Blazkowicz speaking with and helping out fellow resistance members by gathering items they need around their base, almost everything in Wolfenstein: The New Order involves shooting Nazis. 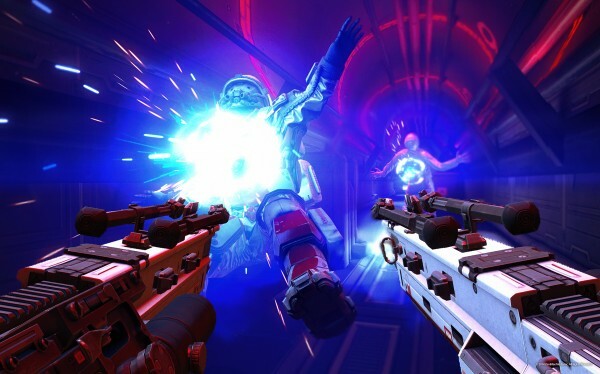 There are a plethora of ways to go about doing this as the game allows for numerous play styles and there are perks to be unlocked to help evolve said style in what can best be described as fun and brutal gunplay. 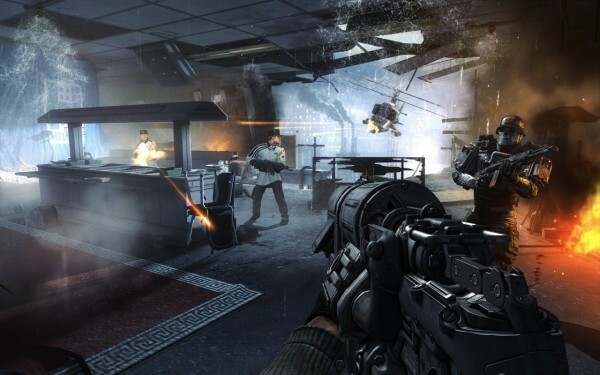 Almost every stage in The New Order allows the player to take approaches to a situation. You can go in guns blazing, whipping grenades at enemies while dual-wielding automatic shotguns that blow enemies heads and limbs off, you can be sneaky and assassinate enemies from behind with executions or throwing knives, or you can mix and match which is often the case in most of the game’s combat scenarios. It is worth noting that the aforementioned perks are unlocked by completing a set goal and these perks are permanently unlocked from then on and since there is no need to pick a specific skill tree to follow, you can make use of every unlocked perk at any given time. Players will begin to feel like a walking arsenal thanks to the fact that the game makes use of a weapon wheel that allows the player to carry numerous weapons and dual-wield most of these weapons. Of course there is also the option to simply tap Y to switch to your most recent weapon on the fly. It is also nice to see that while The New Order does feature regenerating health, it is limited. Wounded players will generally only recover health to 20, 40, 60 or 80, whichever is closest going up, and recovering past those points requires gathering health kits or food that is scattered around a level. Players can also find armor in the field, generally taking it from fallen enemies, but this does not regenerate in any way and even though armor does stop some damage, it does not prevent your health from being affected by enemy fire meaning you can find yourself seeing a death screen often if you do not play smart. Then again, on normal difficulty enemy AI can be rather stupid at times and leave themselves wide-open in the middle of a firefight so those looking for a real challenge will probably want to go a level higher. Another way to play smart is to aim for enemy Commanders at the start of a battle or try to take them out stealthily as they can call in enemy reinforcements that will continue to swarm the area until they are eliminated. This is generally where the combination of stealth and action blends together well as you can usually only sneak so far before being seen and fired upon. Outside of the commanders there are a number of different enemies you will come across ranging from cyborg attack dogs, giant metal monstrosities, cyborg soldiers capable of taking a large amount of punishment, and more to keep the action somewhat fresh. Even then there are times that the action can grow to feel a bit repetitive though there are always collectibles, including Enigma Codes that, once the players uncover all the pieces unlocks a special game-mode variant, and hidden areas to discover as well to help keep the player’s eyes peeled. Playing through The New Order on the Xbox One is quite an experience simply because of how amazing everything looks in the game and how well it runs. No matter how intense the action became the game never slowed down or lost detail to try and keep up with what was happening on screen. The environments are impressive looking and varied enough to remain fresh while the enemies start to look repetitive once the player is halfway through the game, of course that doesn’t stop the blood and gore from being a nice touch to the game’s bloody gunplay. It is also nice to note that the character models are great looking, especially in cut-scenes and the rare moments the player spends at the resistance’s base. The voice work throughout Wolfenstein: The New Order is very impressive with Blazkowicz’s voice actor sounding very believable for the role which helps set the tone for the game while the rest of the voice acting is similarly impressive. Along those lines the game’s sound effects are also fairly enjoyable and everything is supported by a fitting soundtrack that generally blends into the background. Wolfenstein: The New Order harkens back to the time before some form of online multiplayer was forced into every FPS and it is for the better because of it. What we have here is a fun game that doesn’t stretch the boundaries of what an FPS would generally do, but excels in every way a game like this should. 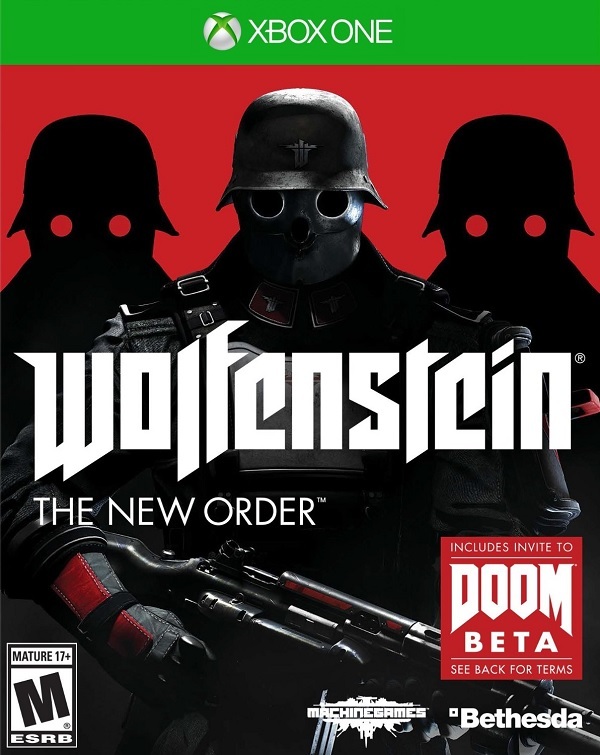 With a now fresh story with enjoyable characters and satisfying gunplay that offers a numerous options for Nazi killing, Wolfenstein: The New Order is an amazing looking title that feels a bit too set in its ways at times but one that players will undoubtedly have fun playing.